Meanwhile, a hundred miles or so to the east, the sun-kissed (now there's a description you don't hear very often) Otterburn Ranges played host to the Glendinnings of Prudhoe Tyneside Stages Rally on Sunday where some of our lot from the Cobble Shop Scottish Tarmack Championship had made the trek on Saturday evening. Looking at the results it would appear that Peter Taylor was contesting a different rally as he finished over 2 minutes clear of the field after a dominant display over the dry and demanding military roads. On the way he set 12 fastest stage times and beat or equalled the Bogey on three of them. Non STRC driver Rory Young finished second with Gordon Morrison benefitting from the two events with 3rd place overall and top points in the Scottish series. Given the conditions, there was no surprise that the quicker Escorts were up for a fight with Ross Brusby scrapping over 4th place with Mark Jasper. As one onlooker observed: "That's what we came for!" And yes, they did sound good. John Stone completed the top six. 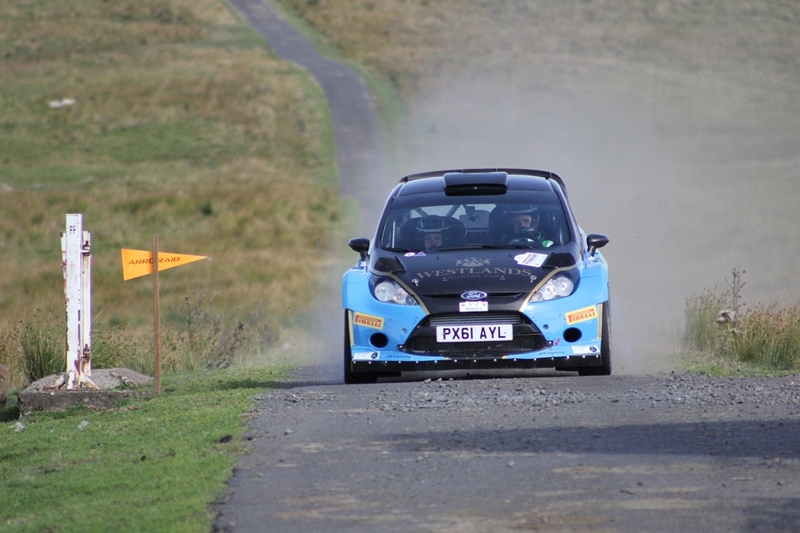 Lee Hastings just lost out on a top ten finish in 11th place with Ross Auld scoring the Class 3 win in 14th. Behind him were a whole queue of Scots, Robert Marshall, Kenny Moore, Jim McDowall, Drew Gallagher, Michael Harbour and Alistair Dalgleish in 20th place. Star driver? That had to be Michael Robertson. Having finished Solway in one piece, he sought a late entry at Tyneside and arrived there only to find that you can't just buy a set of Notes - they have to be ordered in advance. 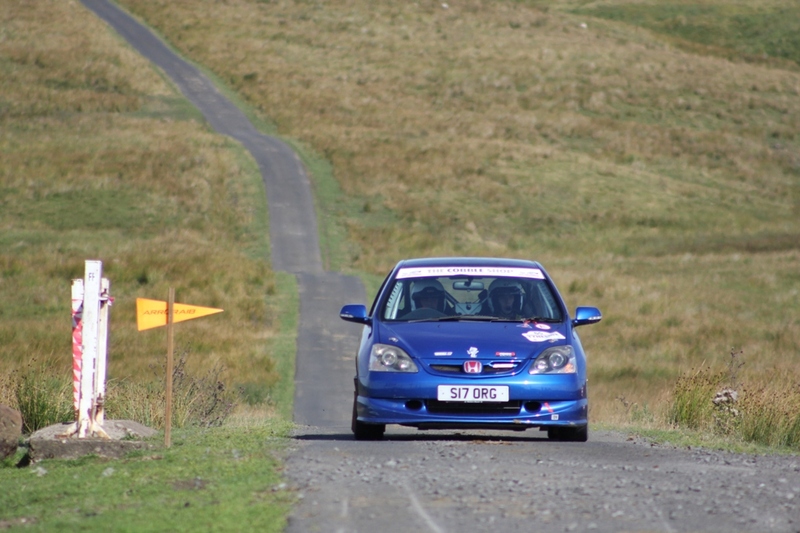 Undeterred he set off note-less in the Civic on Sunday morning and set some decent times over the first three stages. 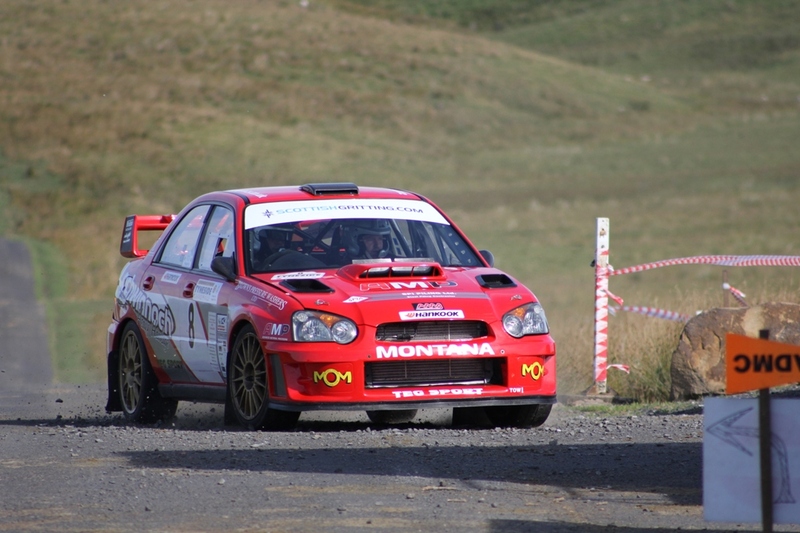 Barry Lindsay, who had earlier crashed out, gave him his Notes and Robertson picked up the pace to finish 28th overall on his first visit to the Ranges. Doncha just love a trier? Quite a few more of our lot did well too, but you'll have to wait for Wednesday's report in 'Motorsport News' for the main story before a much fuller account of proceedings later in the on-line mag.